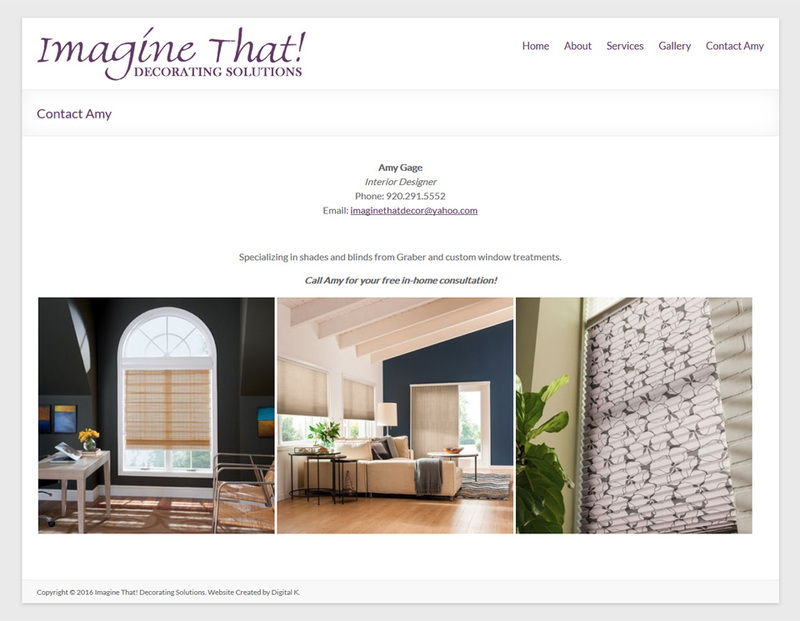 I created this new website for Interior Designer Amy Gage, owner of Imagine That! Decorating Solutions. The website was created in WordPress, allowing for her to make easy content updates. 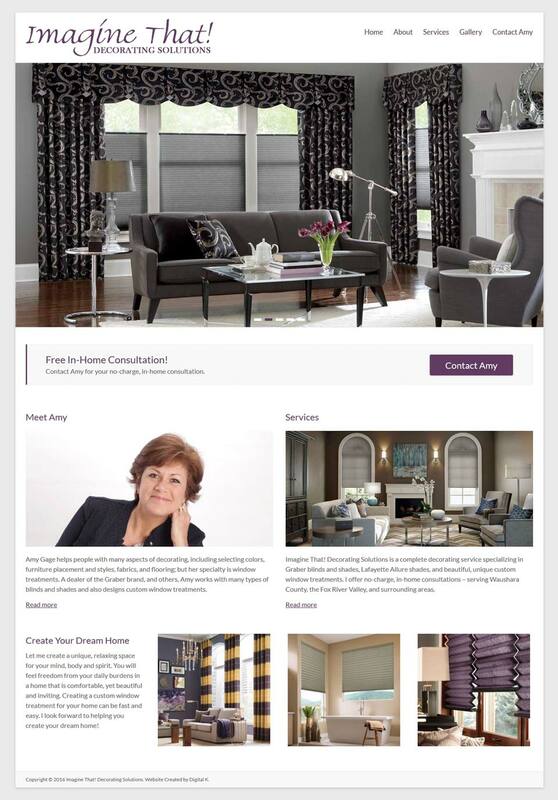 Features of the website include a photo slider and photo gallery.